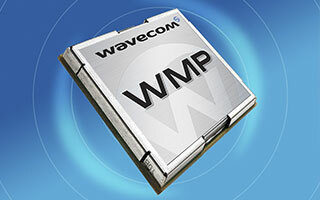 By basing its strategies for prototyping, production and field test on the XJTAG Boundary Scan Development System, leading M2M solutions developer Wavecom is able to introduce new modular solutions to the market quickly and smoothly, guaranteeing ultra-low ppm rates to win acceptance from automotive customers. In a typical M2M module, the WMP100 processor, its configuration memory, and the Ethernet PHY are all connected to the boundary scan chain. XJTAG provides access to every pin, allowing design flaws or soldering faults to be accurately located. Functional communication tests can also be performed. Other devices connected to the WMP100, such as SRAM, Flash chips, and A/D and D/A converters are also testable. In fact, pre-written test scripts for popular devices can be downloaded directly from the XJTAG website. Other devices connected to the WMP100 depending on the application, such as a GPS chipset, CAN or Bluetooth® modules, or a ZigBee™ chipset, are also testable via XJTAG. For production, Wavecom is using XJRunner, the low-cost, multi-licence XJTAG environment. “We can quickly and easily re-use proven prototype tests in production,” explains Laurence. Citing high throughput and the ability to carry out separate hardware/software evaluation as additional advantages, she adds that hardware can be fully tested within seconds, before loading production software into memory. XJTAG has delivered important productivity advantages. Implementation is very fast, we can easily customise tests for products from entry-level to high-end, and we can achieve high overall test coverage to guarantee the low ppm rates demanded by automotive applications. It also provides the freedom to develop a complete set of tests for any application within only a few days, using the graphical XJDeveloper environment. XJTAG is also an important enabler for our Eight-Disciplines customer-support strategy, by giving us the capability to identify both failure and root cause while in the field. Wavecom is a leading developer of modules for machine-to-machine (M2M) communications including vehicle telematics such as tracking and emergency-assistance systems. The company has pioneered the Wireless CPU® architecture, which allows wireless and application-level functions to be combined within a unified hardware platform. Compared to conventional GSM modems for M2M, which host the wireless processing separately from the application, the Wireless CPU and its supporting open software environment enables smaller, lower-cost, lower-power systems.